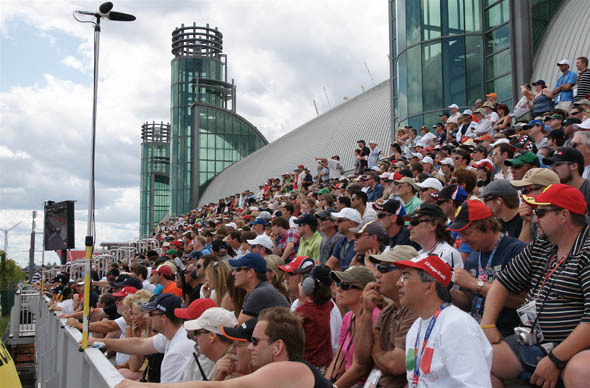 The Honda Indy Toronto IndyCar Series Race on Sunday afternoon was an exhilarating 85 laps with 11 turns around the streets of Toronto by Lakeshore Blvd. W. near the BMO Field. This being my first Indy, I didn't quite know what to expect, except for the noise. 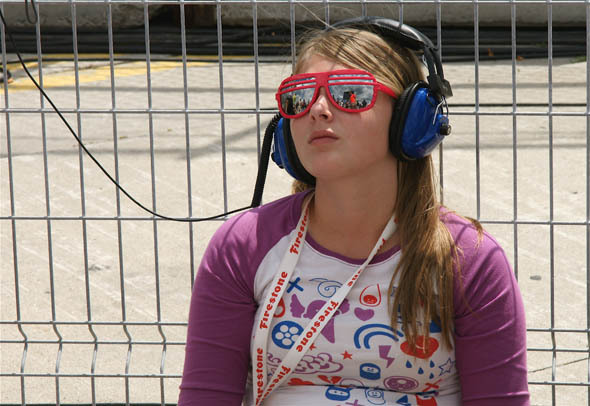 The fumes were worse than the noise, but then I had earplugs in the entire time I was down by the race course. I hung out at Turn 3, also known as the Budweiser Winner's Circle. From King's Corner, I got to observe the race mostly through two chain-link fences. Over at the Budweiser Winner's Circle, Gene Simmons was entertaining the crowd. He announced the winner of the Budweiser Pit Crew Girl Search, who went on to present the trophy to the eventual winner of the Indy car race. Rewand Yousif, 19, was crowned Miss Budweiser. The crowd had great weather, with the sun beaming down overhead for most of the afternoon. Dario Franchitti, who had the pole position at the start of the race eventually won. He had won this race previously in 1999. 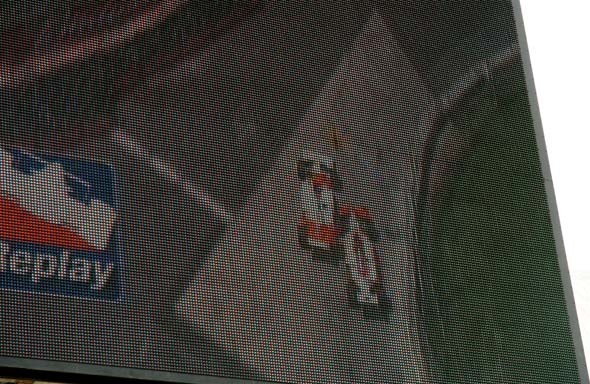 Scarborough, Ontario native Paul Tracy, in his 17th such race in Toronto, got nudged into the wall by Corner 4 on lap 66 by three-time Indy 500 champion Helio Castroneves in (pictured below on the big screen). When this happened, the audience let out a collective sigh and some began shouting aloud how unfair that was. The afternoon was filled with lots of testosterone. Some grown men brought their whole families along. Although I didn't see many eager youngsters actively engaged in the race itself. It's hard to keep interest when you really only catch a glimpse of the cars as they zoom by for mere seconds every few minutes. On my way out of the racing area at the end of the afternoon I noticed quite a few scooters and motorcycles parked out front. I bet a lot of the attendees were just wannabe racers living vicariously through the professional racing car drivers.